Grilling is in the air! 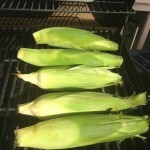 Fresh sweet corn is a sign of summer, whether it’s from the grocery store, farmer’s market, or a roadside stand. 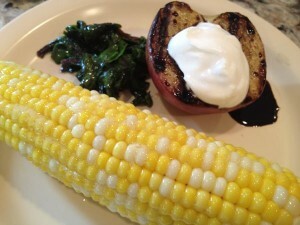 It is a true summer treat and a vegetable every one of my kids enjoys! It is simple and delicious and goes perfect with burgers or just about anything else you might be preparing on the grill! Recently when the kids were joining us for dinner, we decided to make some corn on the grill in the husk. We cooked them directly on a hot grill and because we soaked them for a while before placing them on the high heat, the husks protect the corn from getting dried out. Start by cutting some of the “hair’ off the end of each husk with a kitchen scissors. Also shorten the stem so they will fit evenly into a bowl of water. Stir the salt & sugar into the warm water until dissolved and soak the corn in their husks for at least an hour. 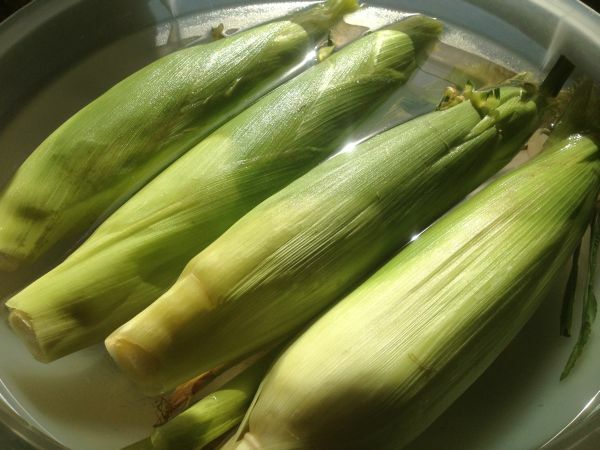 Rotate the cobs from time to time during the soaking time. 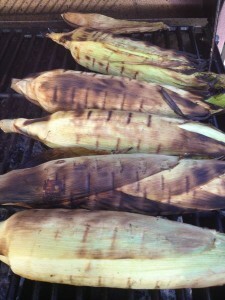 Once all sides are charred, remove corn from grill. 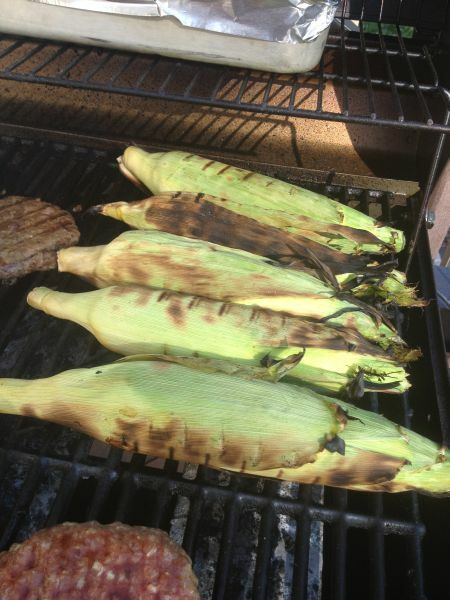 Allow the corn to sit for about five minutes. Recruit the young adults waiting for dinner and have them use a paper towel to protect their hands while removing the hot silks and charred husks from the corn. Serve hot as a side dish with butter and seasoned with salt & pepper! 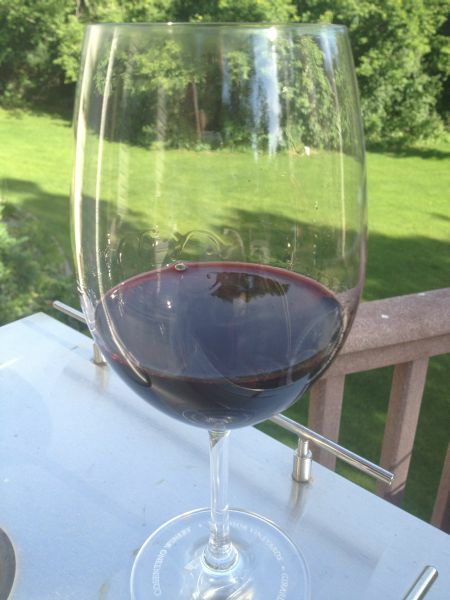 We enjoyed this beautiful grilling day with a nice Pine Ridge Merlot! YUM!